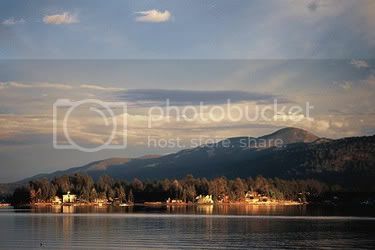 Big Bear Lake is a large body of water located in the San Bernardino Mountains. This is one of the few lakes in Southern California where you can catch trout all year long due to its high elevation and cool water temps. The lake also supports a huge population of carp and a few catfish and largemouth bass. The carp do not get much pressure here because of all the trout anglers which makes 20+ fish days very common with a nice size average over 5lb's. Best areas for shore fishing are near the dam and all along the north shoreline due to homes on the south side. From Los Angeles and Orange counties:Interstate 10 east to the Running Springs Highway 30 exit in Redlands. Follow Highway 30 to Highway 330. #330 later turns into #18 and bring you all the way up the hill. Alternative route from I-10: I-10 East to Orange Street North in Redlands. Follow signs to Highway 38. From San Diego County:Interstate 15 North to the 215 to Interstate 10 East and follow above directions. From the High Desert:Interstate 15 to Victorville. Exit at Bear Valley Road East to Lucerne Valley, Right on highway 18. Rainbow Trout,Largemouth Bass,Bullhead,Sculpin,Channel Catfish,Bluegill,Carp, Smallmouth bass,crappie.